For the next 2 weeks we are delighted to host Dr Ihab Riad, HOD at the Department of Physics, University of Khartoum, Sudan. Funded by the Wellcome Trust, and in collaboration with TReND in Africa, Dr. Riad will use our workshop facilities to build and develop 3D printed lab equipment for use in education and research in Sudan. 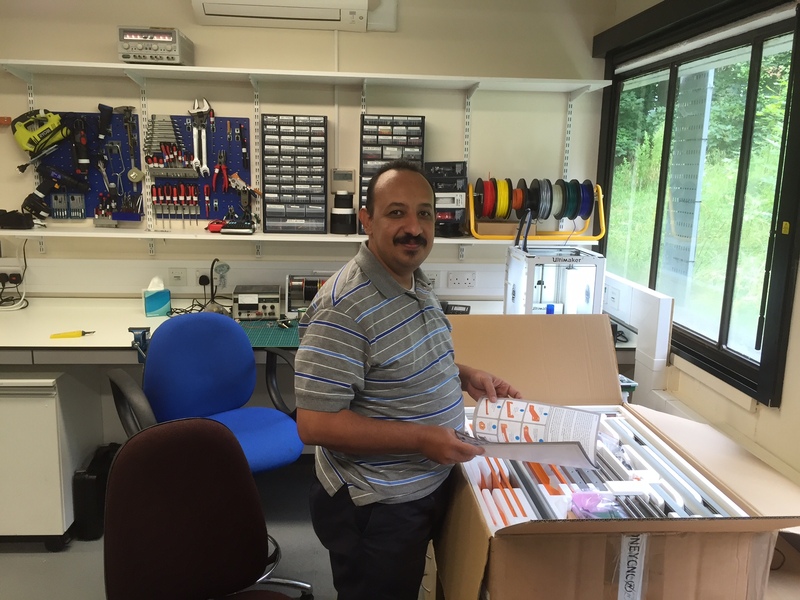 See below for a picture of Ihab, about to assemble his new CNC machine / 3Dprinter assembly which he will take home with him to make up the beginning of a local workshop!